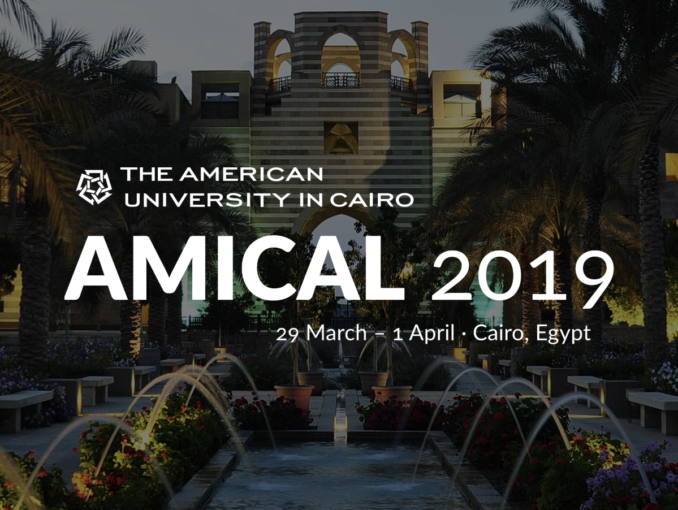 Virtually Connecting will be at AMICAL 2019 at the American University in Cairo! Join us for conversation at the conference for libraries, technology & learning at international American universities. On Sunday, March 31st, at 15:15 Cairo time, Robin DeRosa, Anita Walz and Cheryl Hodgkinson-Williams will meet onsite buddies Maha Bali and Nadinne Aboulmagd and virtual buddy Joe Murphy. If you’re interested in joining, tweet us @vconnecting or leave a comment below. We’ll ask for your email address so we can send you a link to the session just before it goes live. Times are local to the conference site, scroll below to find the times adjusted to your timezone and the links to watch the session live or recorded if you can’t make it into the session itself. Also, many sessions at AMICAL will be livestreamed; check the schedule for those opportunities! Become a buddy: If you’d like to join our team and help organize future events, talk to the onsite or virtual buddy. Hi Zane – no need to comment if you are only interested in watching. The blog post has the YouTube player embedded – just come back at the time of the session and hit play. If you come back after the time of the session then it will be a recording rather than a live stream. Hope this helps.